Your team was super busy running around the warehouse looking for stock. Having to call back customers to let them know you’re out or product. Taking the grief of not delivering on time. You had to swallow the added expense of drop shipping from your vendor to keep your customer happy. Not to mention the turmoil in your accounting and not really knowing the true real-time state of your financials. It happens to many businesses that are growing. Opportunity out paces the systems to handle them. How would it feel to know exactly your inventory levels? Know exactly where everything is? For your sales staff to be able to accurately tell customers how much is available and when they can expect delivery? 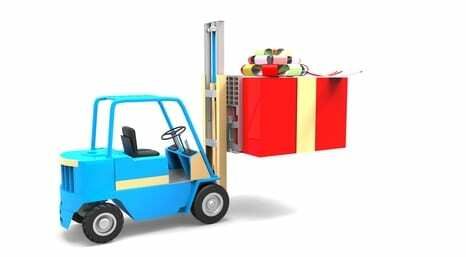 The holiday season is one of the busiest and profitable times of the year for many companies. However are you leaving money on the table because you don’t have the proper systems in place to keep your staff focused on your customer? Change can be scary. Implementing a business management system takes expertise and guidance. Make sure when choosing an inventory management system that the supplier understands your goals and has a step by step process in place to make the transition as seamless as possible. AdvancePro’s team of business operations experts work with our users to ensure they are getting the most out of AdvancePro. We will analyze your existing workflow and give recommendations for optimizing.